The year is 2073. Mars has been terra-formed. There are colonies. There are cities, there is agriculture. There are frontier towns and there is freight and mining. But there are problems too. The same old issues are arising: pollution and Martian global warming, crime and social problems, psychological isolation and political unrest. Aural Innovations says "...catchy space rock 'n roll songs that are like Hawkwind with an 80s pop feel and a symphonic Prog edge." Read the full review here. Available for purchase by download now. 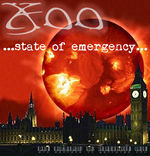 Single edition of State of Emergency from Tales From A Red Planet plus two tracks that didn't make it onto the album. 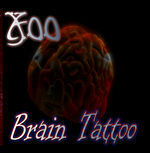 April 2009A 4 track EP consisting of existing favourites like Brain Tattoo and Dark Matter, plus a taster track from the forthcoming Tales From A Red Planet and an R2Project remix! October 2007The space-prog album of 2007, with a mix of driving rock, unusual instrumentals and a hint of social commentary, not to mention a bit of help with lyrics from a certain W. Shakespeare. December 2006A sampler CD to showcase the new 2006 line-up.